Get to work on the farm with this great farm vehicle set by Teamsterz. 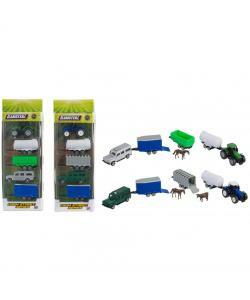 The set includes a 4x4 vehicle, tractor, 2 horse figures and 3 assorted trailers. Some parts are die-cast for added durability.